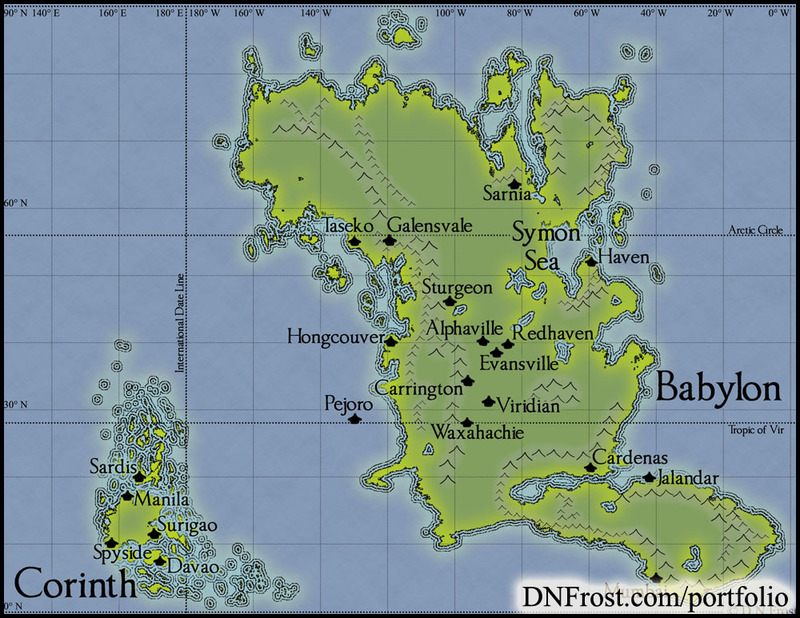 This post is Part 3 of a series to augment the Fictional Cartography by D.N.Frost available for free download. Start with Part 1 here. This and other map commissions are gathered in my Portfolio Directory for you to explore. Find more guest-inspired content in my Guest Directory. 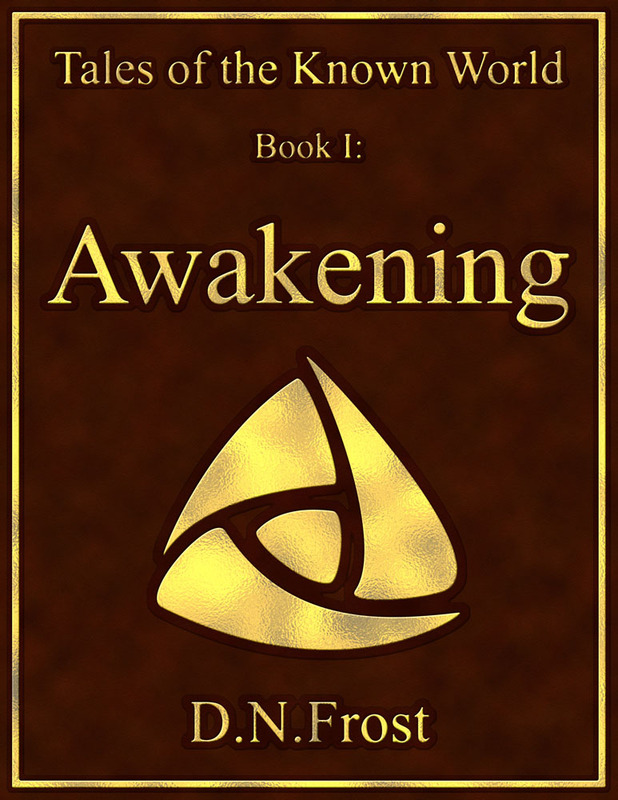 I deviated from the process outlined in Part 1 of this series to plot the towns first, because Steve had exact coordinates for all his towns and islands. This allowed me to verify all his coordinates were on land before I worked on subsequent map elements like the mountains, colors, and text. Plotting all these coordinates was more time-consuming than I'd expected. 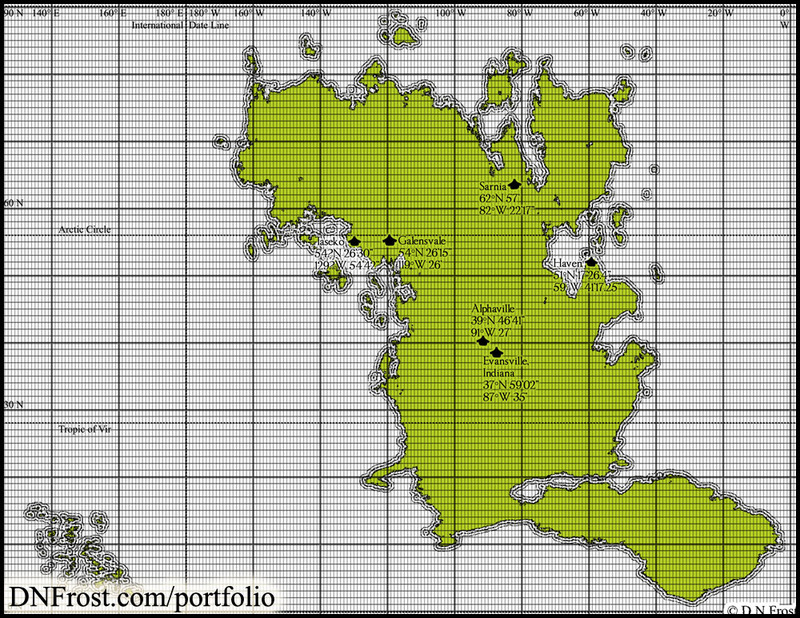 Certain coastal cities wound up out to sea or too far inland, and I had to adjust the coastlines to match their locations. I had to re-draw many of the islands from scratch. For the island nation of Corinth, Steve opted to shift all the coordinates east toward the Babylon mainland. The original coordinates were centered in the 120 E range, but Steve asked me to plot them in the 140 E range. He had so many coordinates for towns and islands that many of them overlapped. I plotted them all, deciding to ask him which ones to eliminate. I added some color to make it easier on my eyes, but the sheer number of towns and islands exhausted the hours I'd quoted Steve for the project. I threw in a free hour to finish the plotting and sent him a new render to see how he wanted to proceed from there. 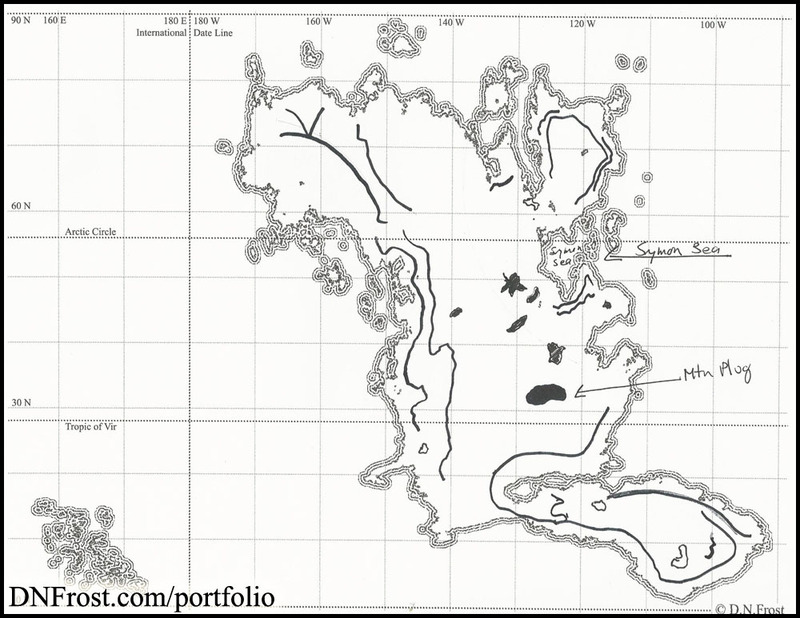 Check out this Fictional Cartography by D.N.Frost for more maps! 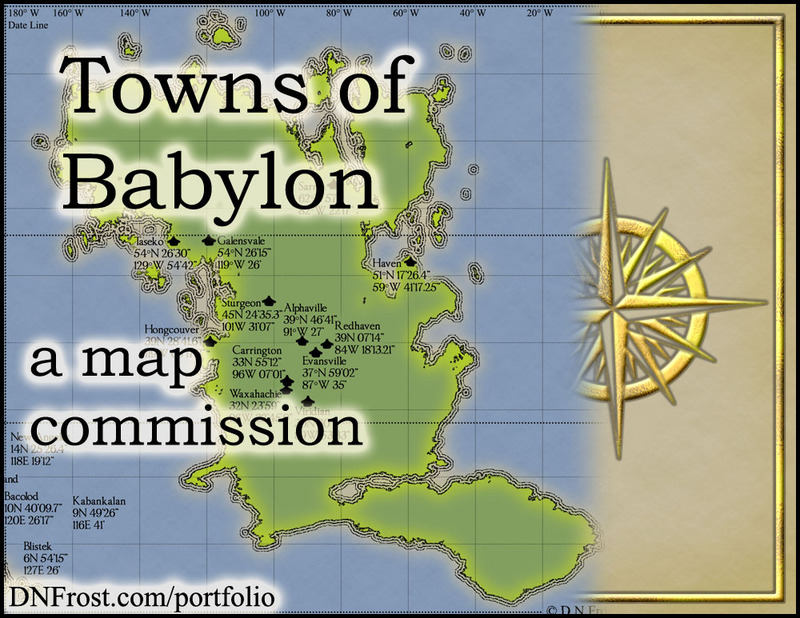 Due to my miscalculation of time required to plot all his towns, we agreed to add one more hour to the commission budget so the map could be finished. Steve sent me a final sketch of mountain ranges and lakes to add to the map. He selected a font for the map names and a separate font for the map title, both of which I downloaded and installed on my computer. Steve also told me which towns to eliminate from the map to prevent overlapping, and he gave me new coordinates for a few towns to have a bit more space on the map. We were in the final stages of the mapping process, and I was really excited to create a finished product that both of us could be proud of. Steve then asked me to shift the islands of Corinth even closer to the dateline, which was fairly easy. We confirmed the new coordinates for accuracy, and I shifted the islands eastward one last time. After tracing lakes into the shape of the continents and adding mountain ranges where he needed them, I revamped the map colors and sent Steve a final render. The map was beautiful and really exceeded my expectations despite all my experience making my Maps of the Known World. There was space in the render for a few more labels if he had names to add, and he supplied me with the names of a few mountain ranges and seas to help even out the empty space. 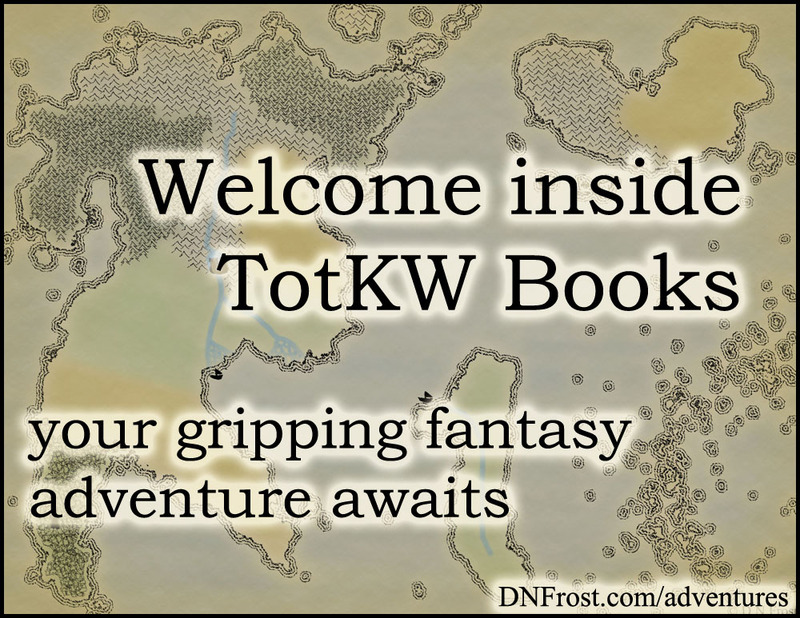 Download Fictional Cartography by D.N.Frost here, or start your adventure below.